Jannat Nazir is recently come back with latest and stylish Bridal Wear Wedding Day Formal Dresses 2013 For Women of Pakistan. 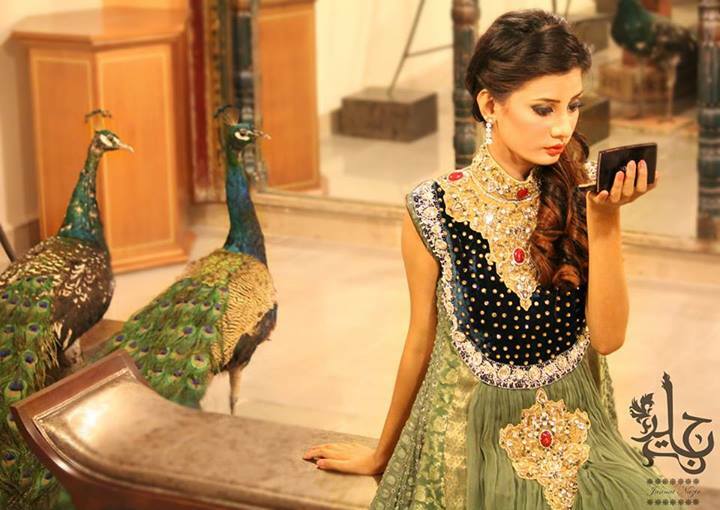 Jannat Nazir latest Bridal Dress collection 2013 comes up with With Chooridar and Dupatta. Pure chiffon outfit with sequin panels and fully hand worked jamawar center panel, back tail, banarsi laces on daaman. Pure silk fully hand worked and digital printed center panel, stone details on neckline, hand worked cuffs. Heavily worked and flared side panels, stone work on the daaman. Fashion label Jannat Nazir is famous Pakistan fashion designer offering stylish Pakistani bridal wear, formal wear, and luxury wedding outfits for trendy and fashionable women. 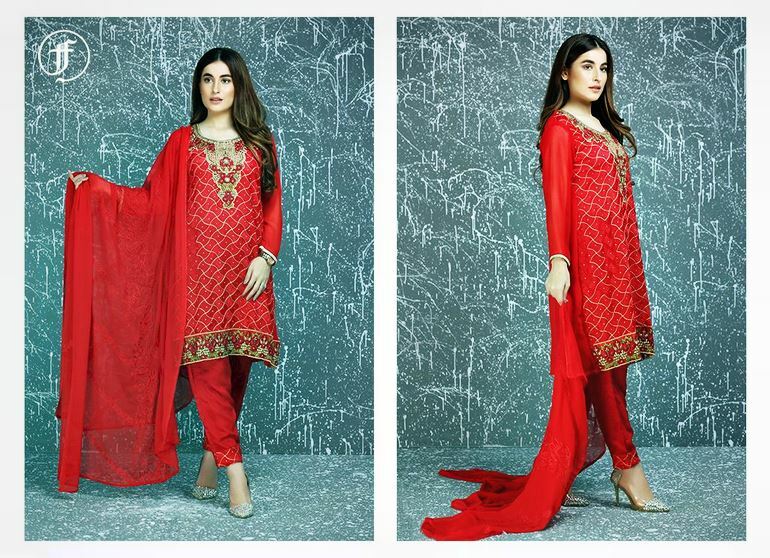 Jannat Nazir is a leading fashion clothing brand of one of top famous and in style fashion house named Zahra Ahmad. 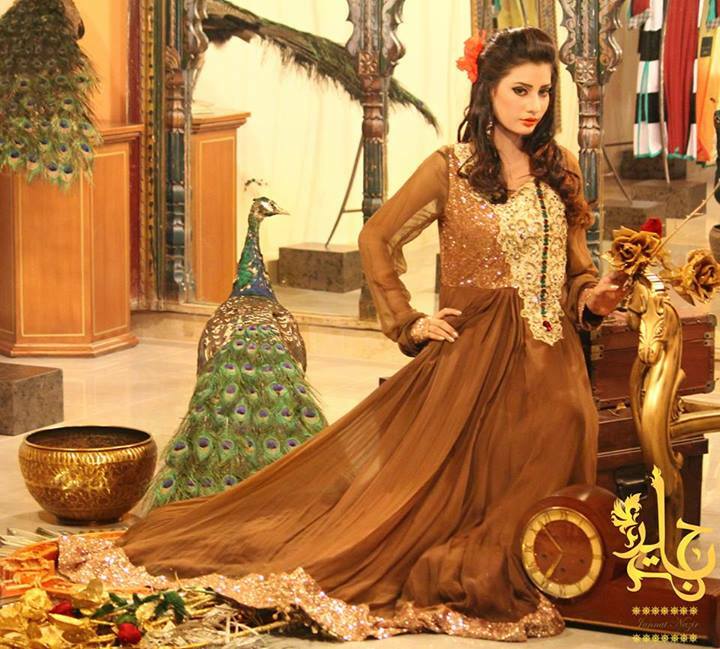 Jannat Nazir offers latest fashion in keeping with new trends wedding dresses and party wear dresses for girls. This Bridal and Party wear catalog includes graceful eye catching that ends up in pass off aiming Party wear dresses of girls. For order and inquiries, send us a message on Facebook or visit the ‘Bridal Showroom‘ at MM Alam Road, Lahore.